'Tsuyuzorabare' (Shuichi Hirao by Society for Japanese Irises, R. 1993) JI (9-12 F.), 42" (107 cm), Midseason bloom. 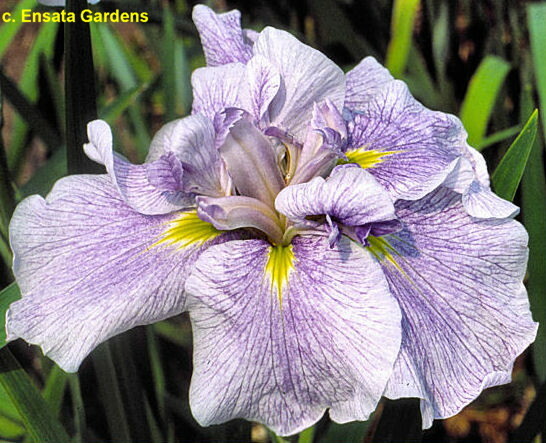 Near-white ground, sanded and finely veined light blue violet (RHS 98B to 83C), signals yellow; style arms sanded blue violet, edged and tipped red violet, anthers petaloid. Parentage unknown. Hirao prior to 1985.